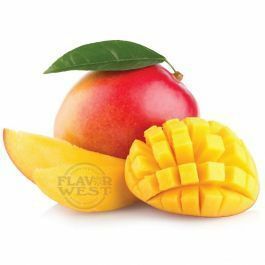 Natural mango flavor offers a fantastic sweet taste of a fresh tropical mango newly picked from a tree; it is good for beverages, baked treats, smoothies, beer, milkshakes and ice cream. Unique tastes of the tropical delightful mango flavor your family and friends will love. Please Note: Flavor is highly concentrated (Shake well before use). Type: Mango All Natural Water Soluble Flavoring. Ingredient: Natural Flavoring, Propylene Glycol. USP Kosher Grade Flavoring. Usage Rate: 15-20% for E-use. Flavor suitability: Suitable for beverages, baked treats, smoothies, beer, milkshakes, ice cream and much more. Specific Gravity: 1.13 No Refunds on Flavoring.